i saw this fellow on the shopping plaza on Christmas Eve. 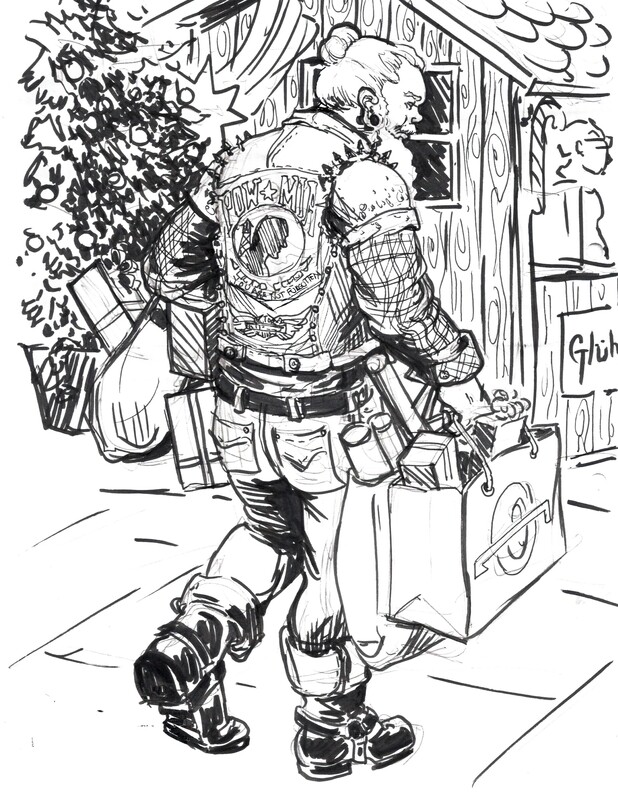 This entry was posted in Berlin, My art and tagged "Glücklich in Berlin", Berlin, Suzanne Forbes, Urban Man-bun UNdercut Biker Santa on January 31, 2016 by Suzanne Forbes. 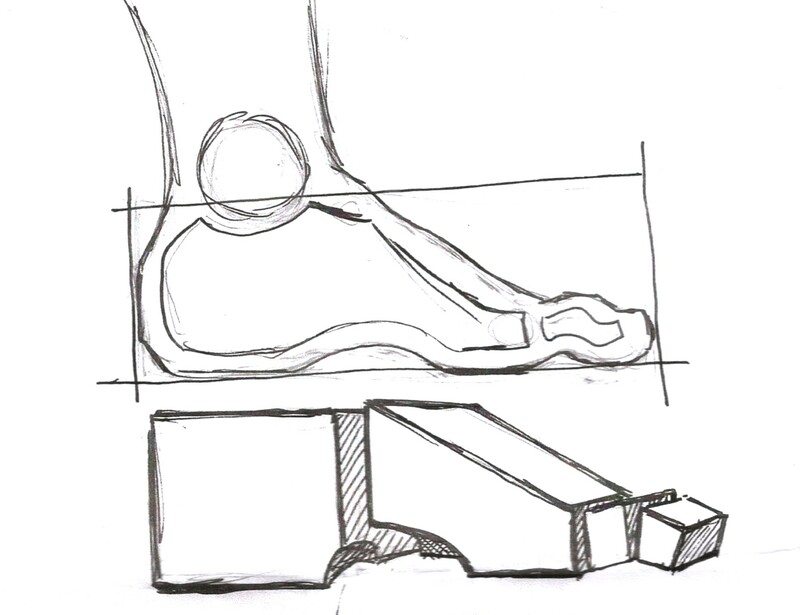 I made some studies of the basic shapes and volumes of the human foot for my amazing students. 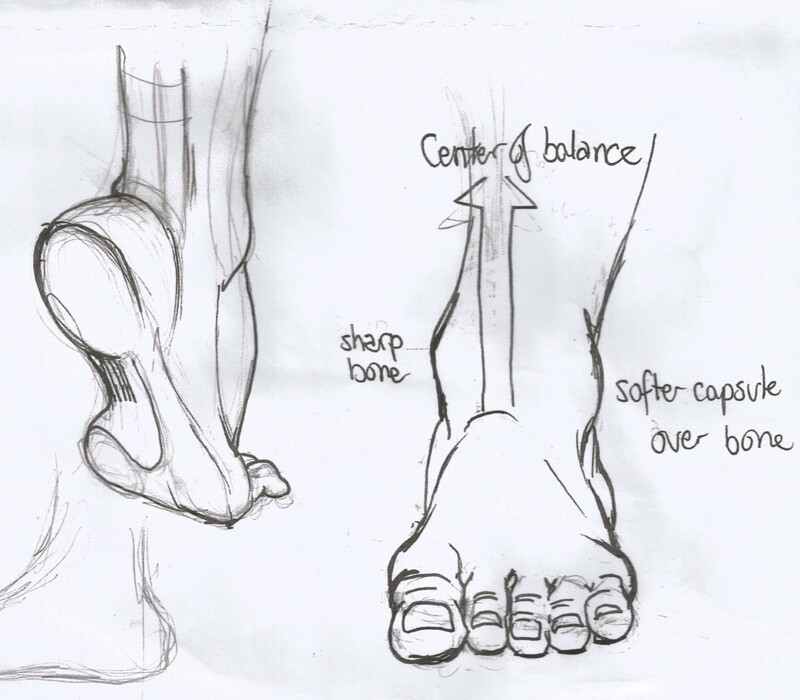 This entry was posted in Art Tutorials, My art and tagged foot drawing, foot tutorial, Suzanne Forbes artist on January 31, 2016 by Suzanne Forbes. The videophones came when we weren’t watching. Videophones- we were going to have them in the future. Then we could have them, and we didn’t want them. Because why would you want someone to call you at home, and see you when you’d just gotten out of the shower? The videophone was strictly for corporate meetings. Then last Fall my friend Devon was on the phone with her boyfriend, and suddenly I realized she was showing him the costume project we were working on, live. Video phones had arrived. Since I’ve never had a phone that could Facetime and now for the last nine months I haven’t had a phone at all, I promptly forgot about Facetiming. Until I saw this lady on the U-Bahn, doing something that clearly wasn’t a phone call. 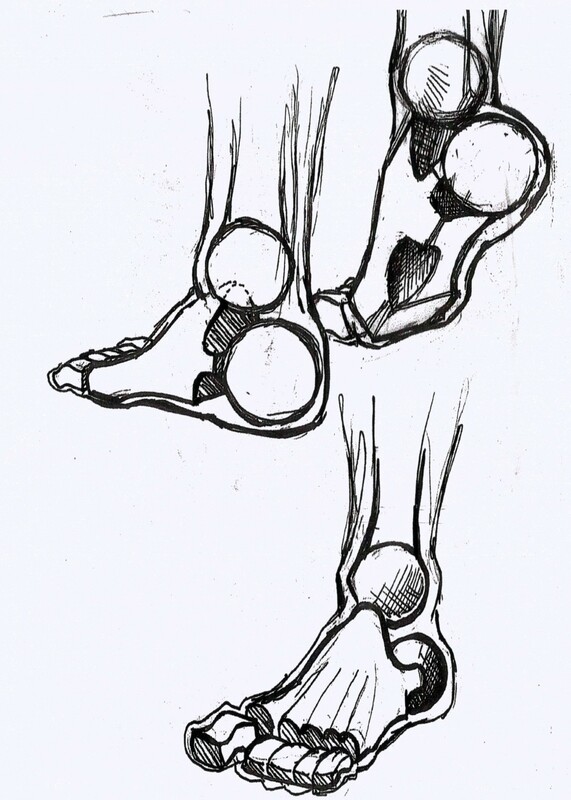 I realized I recognized the posture and gestures, that I’d been seeing people doing something like this for the last year or so. A new thing added to the human family of communication behaviors, Facetiming with headphones. More animated, more involved, more private than a phone call. She never noticed me drawing; she was in another world. It makes sense, as a communication tool, the same way Skyping as a thing you plan, make a date for, makes sense. You can do it on the subway, you can talk to your girlfriend who’s trying on a dress or to your kids at home and walk them through starting dinner. Thomas Edison would be proud. 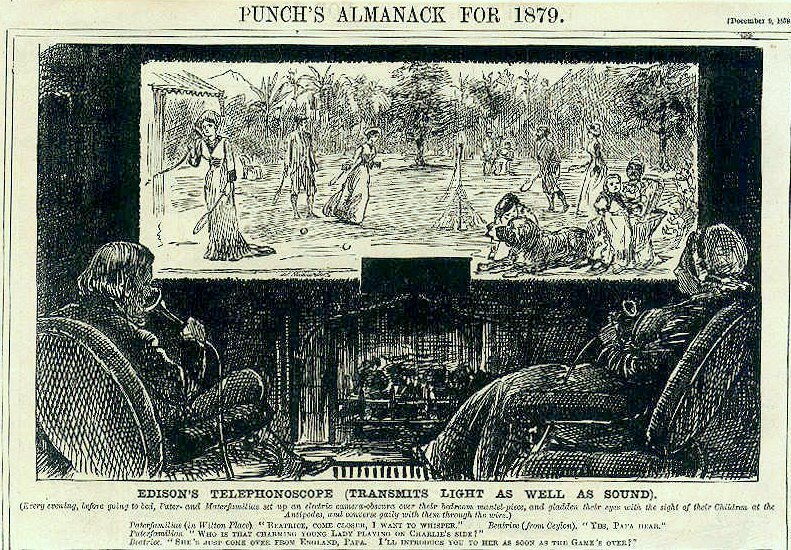 The famous Punch cartoon from 1878 by George du Maurier, depicting Edison’s Telephonoscope. 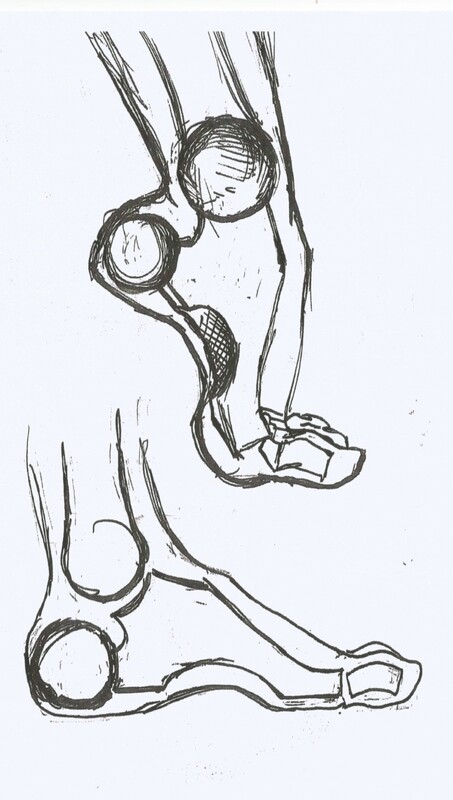 This entry was posted in Any sufficiently advanced technology is indistinguishable from magic, My art and tagged retrofuture, telephonoscope, vidphone on January 30, 2016 by Suzanne Forbes.